Lyon’s geographical location makes it a hub of international exchange. Establishing a business in the Lyon Metropolitan area means choosing a strategic location for your activities in Europe and around the globe. 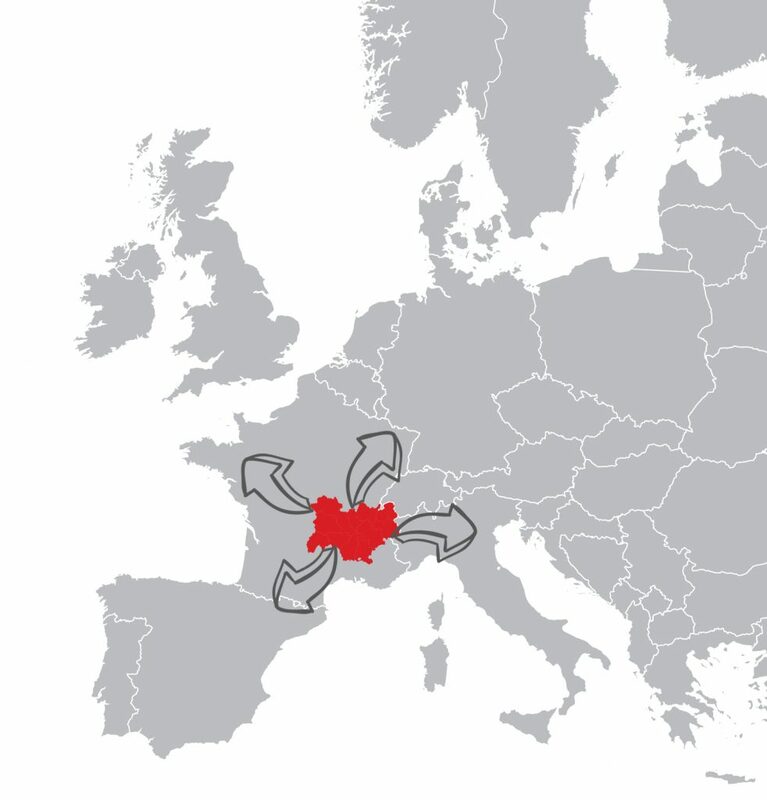 The Auvergne-Rhône-Alpes region represents 12.8% of the total French exports (Auvergne-Rhône-Alpes is France’s #3 exporting region, after Ile-de-France and Grand Est). With 56.7 billion euros of regional exports, trade is up + 5.9% compared to 2014. This brought the surplus trade balance of the region to €1.106 billion in 2016. Auvergne- Rhône-Alpes has a higher rate of exporters than the national average for both SMEs and large companies. 61.8% of Auvergne-Rhône-Alpes exports are destined for the European Union (compared with 59.9% of French exports). And general purpose machinery and equipment. By choosing to establish yourself in Lyon, you will have access to a dynamic market that will enable you to develop your services and products easily. If you would like support with your export strategy, there are numerous opportunities in the region. Structuring an international approach to help you in the early stages. Managing your international approach to secure your exchanges at legal and fiscal levels, including, customs, payment, regulations, and logistics etc. Share your international experiences to learn about best practices and benefit from networks of other leaders. Expand your international contacts list. Meet international expert networks to identify customers, agents, distributors and business partners. Consult the ICC’s practical information about international markets and practices.